FOMBL is a Scottish Charitable Incorporated Organisation SC045955. If you would like to join FoMBL, all the details are given here. The subscription is currently £5 per year for individual members. 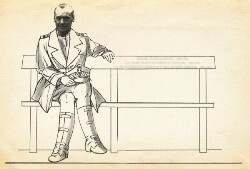 Newsletter 51, Spring 2019, is now published and can be found here. Older Newsletters can be found on our Newsletters page. Parks need volunteers, according to this article in the Mail. 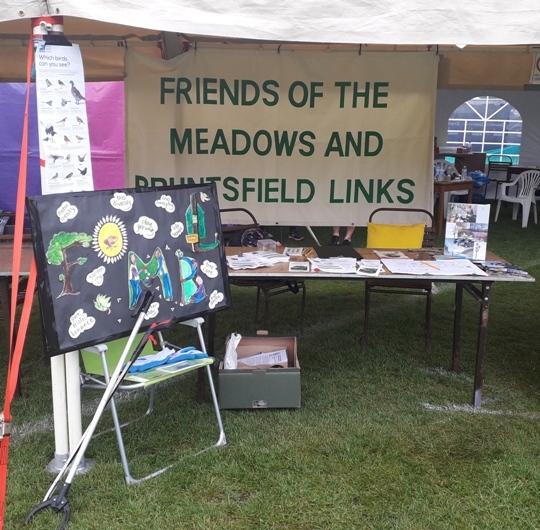 A Big Thank You to all our lovely FOMBL friends who ran the stall during the Meadows Festival! What now for Sick Kids? Sick Kids is moving to Little France - so what happens to the old buildings? Read the latest news. The Meadows are a great place to exercise your dog, but some areas should be kept dog free. Planning a BBQ on the Meadows or Links? See where they are permitted. 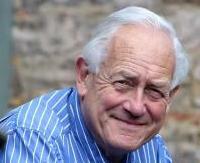 It is with great sadness that we announce that Robin Morris, our treasurer, died on 4th February. Read Heather Goodare's tribute to Robin here. We have produced some very attractive postcards for you to buy to support FoMBL. See them here. Children from Primary 6, George Heriots, have been working with Heather and Yusef doing some little jobs around the Meadows. The Meadows junior parkrun is a free timed 2km run for children aged 4-14 and starts at 9.30am every Sunday near the large kids (Magnet) playground. For more details and to register see the facebook page or click here. There are always little jobs to be done around the Meadows and Links. Once a month a team of volunteers goes out to tackle some of them. You are welcome to join us on the last Saturday of the month, 10:00 am. See our Volunteering page for details, and read reports of recent sessions. Glyphosate - should we ban it? Our Bug Hotel has come to the attention of the BBC. At our Autumn meeting on Friday, 18th November, we had a fascinating talk from Martin Hyman who runs training sessions on the Meadows every Tuesday evening. To read more click here. One of our members is making a blog with some lovely pictures of trees, birds, etc. taken on the Meadows. Do have a look. Move More might be just what you need. The Meadows and Links are great places for bird spotting. Click here to see a poster of birds you can see on the Meadows and Links, and here to see our pictures of redwings, winter visitors to the Meadows. 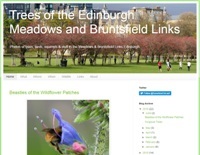 Congratulations and thanks to Audrey Simon, who has kept in mind our obligation to mark the planting of a tree on Bruntsfield Links (near the Golf Tavern) to commemorate the founding of the Friends of Parks Forum in 2001...read more. 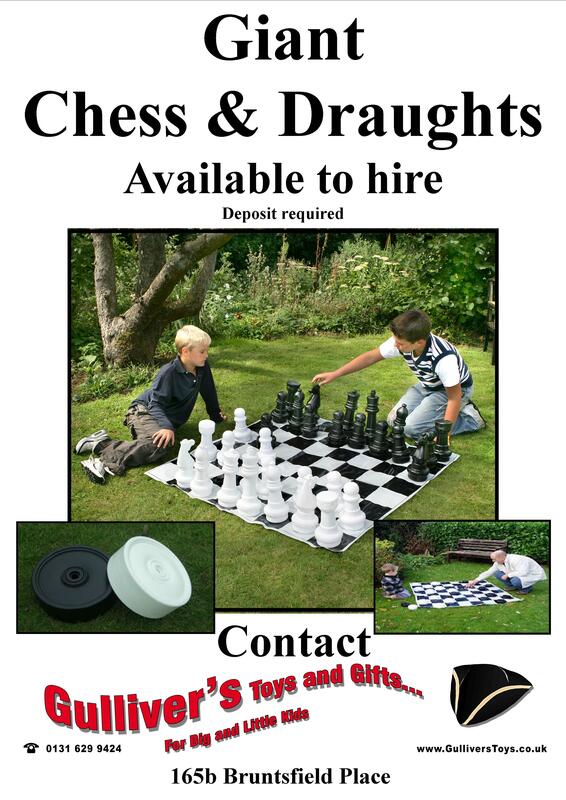 You can now hire chess pieces to use on the giant chess board on the Links See the details. Although they are nothing to do with FoMBL, the orchestra are good friends of ours, so we like to give them some publicity here. For further information see their website.